The Spanish hotel chain Palladium Hotel Group has over forty years of experience with more than fifty hotels in six countries. 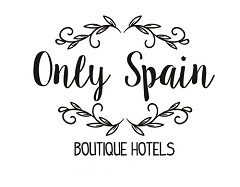 One of its brands – Palladium Boutique Hotels opened the luxury Only YOU Boutique Hotel in Madrid which now offers The Thai Room spa. A member of the International Spa Association, The Thai Room Spa offers guests the ultimate experience of Asian therapy and the ancestral customs of India, Bali, Hawaii, China and Thailand. A selection of massages and treatments which include Ayurveda yoga, Chinese medicine, Jamú massage, an Indonesian tradition, Thai massage and other South East Asian therapies. All your senses will come alive at the Thai Wellness Room. Natural oils, soulfulTibetan flute music, Thai harps, mantras, steam showers and silk cocoon wraps. Let the highly trained, experienced therapists rejuvenate you, mind, body and soul. By using their fingers, hands, elbows and at times their entire body, they will relieve every muscle and leave you feeling like never before. “At Only YOU we pride ourselves on offering the best experience to our clients so we are truly delighted to be able to extend this to a unique and quality wellness experience. The new services at Only YOU Boutique Hotel are designed to meet the growing demand of clients seeking unique experiences at the hotel and we believe the Thai Room will offer our guests “the road to a new YOU”. Doesn’t it sound like somewhere you should visit?